Good afternoon! This is Fleet Captain Jennifer Sontag reporting from the bridge of the USS Tiburon, currently in orbit around Planet X in the Gamma Quadrant. This is my monthly report for the bridge crew and for the general crew. I know it’s been a long time since my last report, but the Tribbles currently in my care have been acting up, and I just a got a whole new batch made. They are aging nicely and growing at an alarming rate. Just don’t tell the captain! Last Sunday afternoon the crew and I had the privilege of serving dinner for the families residing at the Ronald McDonald house in Aurora, Colorado. We served up a lunch consisting of broccoli chicken divan, pasta salad, garden salad, and for dessert, the ever popular chocolate cookies. The turnout wasn’t as good as we would like, but the families who were served appreciated the effort we put in, and the staff member who joined us said it was the best meal he had ever had at the home. was the best meal he had ever had in the home. 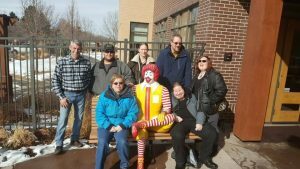 If you don’t know what the Ronald McDonald house is, they are a nonprofit organization that allows parents of sick kids to stay in the house for free as long as they need to, without paying any fees. The families have access to computers to stay in touch with other family members, free TV, and a kitchen for cooking their meals. As they are a nonprofit, they are always looking for donations to offset the cost of running their facility. 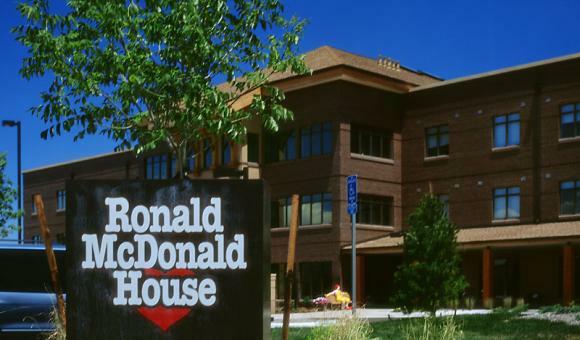 If you go to their website www.rmhc-denver.org, you can see what is needed and donate. They also like groups to come in and serve breakfast, lunch or dinner to the guests. That’s all I have for now. See you soon!